A dear sister in Christ sent me a very interesting video. I watched it in its entirety. The man narrating the video brought up some very alarming facts from history. I will not be embedding this video into my article for one reason. The narrator is Seventh Day Adventist and obviously had an agenda. But nonetheless, he provided some very important and astonishing historical facts relating to what is happening in Europe and especially in America right now. Brethren, there are many migrants attempting to enter the U.S. for very good reasons. Some are very poor, that they only eat once a day – if that. Some are fleeing the crime and gang warfare in their country. Some are women with children – even infants , and these mothers are desperate to save their children. But there are many who are not coming here for humanitarian reasons. There are many young men (military age) who are attempting to enter the U.S. for nefarious reasons. At least 500 (that we know of) are hardened criminals. There certainly could be terrorists in the mix. This truly IS an invasion which was organized and funded by Soros and his ilk. Forced migration, which began in 2015, was part of the Sustainable Development Goals of the United Nations. Since we know that the U.N. and George Soros have an end game (Globalization – NWO) we can see clearly that the forced migration was not done for humane reasons. This was done as a process of destabilizing nations. Just look at Europe right now. It is hardly recognizable as the Europe we have known. The Muslim forced migration was a diabolical plan to mass migrate Muslims, who we know do NOT assimilate into other societies; in order to break down nationalism (patriotism) to destabilize the nations of Europe. The globalists in Europe are now saying that it is time to create a revived Roman Empire and even to have an EU army to protect themselves from “America” Russia and China. These globalists want borders of nations to be eliminated. Every event in the history of the world was “allowed” by God. He is always in control. Many times, what we see happening, we do not like. But as children of God we must trust Him that everything He allows is for His purposes. What will happen at our Southern Border? This is yet to be seen, but my guess is that our military will have no recourse of action except to use lethal force when it is warranted. President Trump has made it clear that he does not want to see this happen. But he has also said that the U.S. military will not be taken advantage of, and if they are put in harms way, they have the order to use lethal force. The Leftist liberals are counting on a bloody scenario. I believe that most of them are anxiously waiting for an all out war in our country. Mobs such as Antifa and others funded by Soros are at the ready to be part of an internal implosion of America. Will America Fall as did the Roman Empire? Only God knows if this is the time of the demise of the once great United States of America. Globalists have repeatedly said that the only thing standing in the way of the NWO is a strong and free America. The eyes of the globalists are all on President Trump. He has not fallen for “Climate change” and he is a PATRIOT, which seems to be a dirty word to those awaiting the NWO. He wants to shore up our borders to keep Americans safe. Brethren, all of this is in preparation for Antichrist to enter the world stage. Erasing borders of nations will allow the man of sin to rule the entire world. So as you read the news – keep in mind the end game of the globalists and how they are serving their master – SATAN. 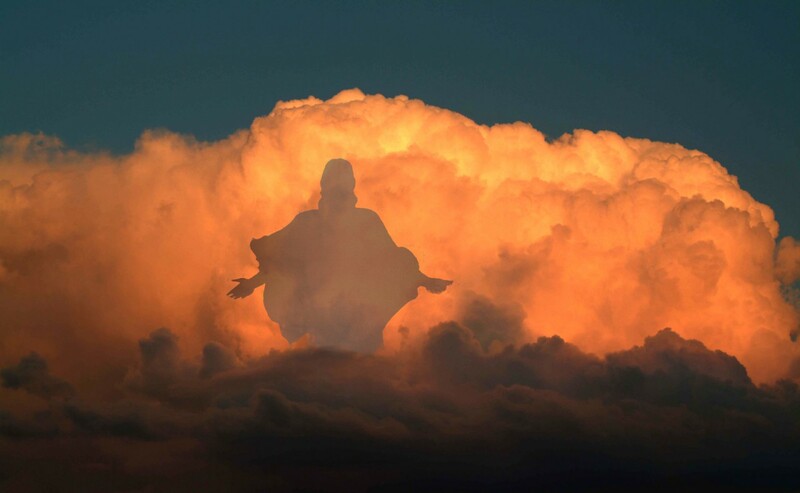 COME LORD JESUS – COME QUICKLY! makes me think of iron n clay [miry clay]…..awesome post, for sure! yes J, so true in connection w/ Agenda 21/Agenda 2030,…thanks for bringing that forth! blessings to you and all who are here. We Shall Overcome, Shalom! p.s. Don’t forget to include and to mention anti pope francis ! Thank You. And we must remain in Our Gods Hope, the ‘snatching away’ of the true believer.